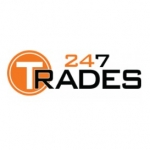 24/7 Trades is your best choice for plumbing and heating. All our plumbers are City and Guilds qualified and work is always carried out to a high standard. We are at your service 24 hours of the day, 7 days of the week and 365 days of the year. Whether you're a first time customer or returning client, we aim to make our property services as affordable as possible.